When people think of sailing the Greek Isles, most dream of whitewashed buildings, an arid island landscape, and the clear crystal blue waters of the Aegean Sea. It is a paradise most travelers yearn to visit. I know I do. But my sail through the Greek Islands was on the western side of the country. I sailed the very different Ionian Sea. The lush vegetation, mountainous terrain and a Venetian past set the stage for my Greek adventure. The islands of Corfu, Paxos, Lefkas, and Kefallinia, are just as adventurous, magical and mythical as any other in Greece. In fact, these islands were the setting for much of Homer’s epic poem the Odyssey. And I too was on an adventure, an epic adventure that changed my life. The sail on the fifty-two foot custom made teak wood sailboat reignited my love for travel and the world unknown. 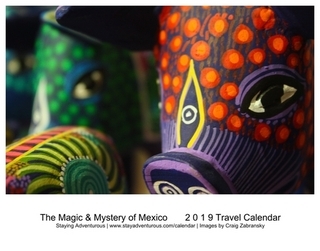 The two weeks in Greece led to the decision to take my near year long travel sabbatical, which then led accepting a position in Mexico City, and ultimately a complete career change. And when I look back (and smile) it seems as if I can connect the major transformations of my life through sunsets. The sunsets were the dots on a journey, an adventure. My adventure. The sunset in Paxos and here on the Ionian Sea inspired my ‘RTW (aRound The World) adventure career break. Then on the first leg of that adventure in Costa Rica a sunset in Tamarindo led me to believe travel writing was a career possibility. Then I started my new career with a sunset in Mazatlan on my first press trip to Mexico. And everything seemed to all connect me to last week’s sunset at the TBEX conference in Colorado. It’s been a wonderful journey. Enjoy this image taken eight years ago on a sail in the Ionian Sea. Much has changed for me since then, but one thing remains the same – I love the sunset. this post is part of the Europe 2012 Series. Craig, you do what many people dream of doing. Good for you for following your dream. Beautiful photo, and it sounds like a wonderful memory. Yes, I am very blessed. I also know you must always go in the direction of your dreams… it truly is where the grass is greener. Plus, this is a wonderful memory, I am blessed to have so many. Lovely! 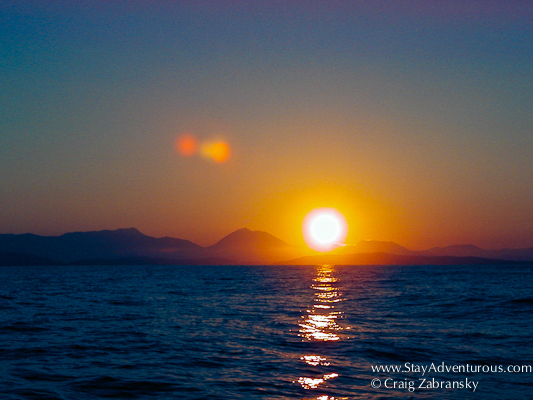 My first most memorable sunset was in Greece! Cool. And Greece is a very memorable destination no doubt. What a great write-up, Craig – and a beautiful photo! It’s such a pleasure to read the way sunsets have changed your life. Very inspirational. Thanks. And yes, I love the sunset…it’s my favorite time of the day. Glad it can help inspire too. What a beautiful sunset. Thanks – this is so inspiring. Just what I needed on a dreary day. Wow – I think this might be your most beautiful sunset post yet! And of course, I LOVE hat it inspired you to make a career change into work you love. Congratulations on doing what many people only dream about and making your ideal career a reality Craig! Hi Craig, do you remember what company you sailed with? Thanks!